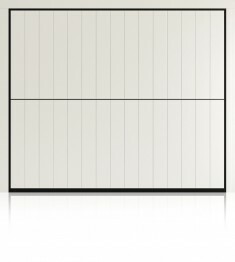 Silvelox VIP garage door has a classic wide vertical boarded design that sits well on properties both traditional and modern. 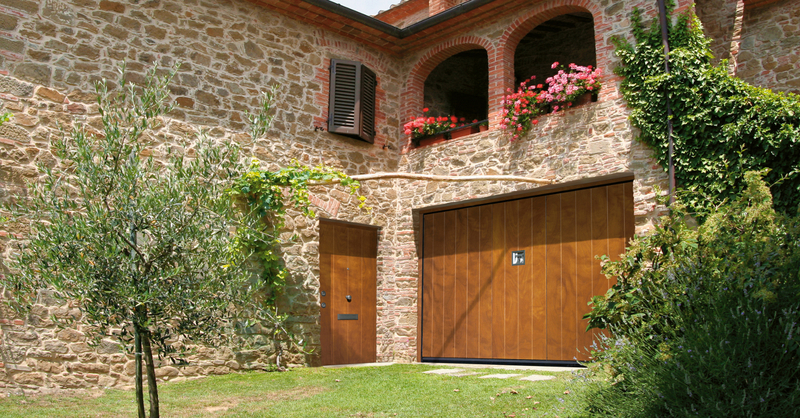 Silvelox manufacture luxury garage doors. 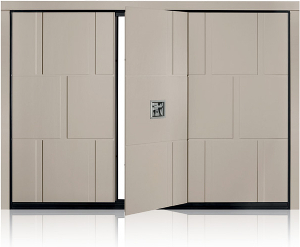 Most noteworthy are the up and over doors; their flagship range. 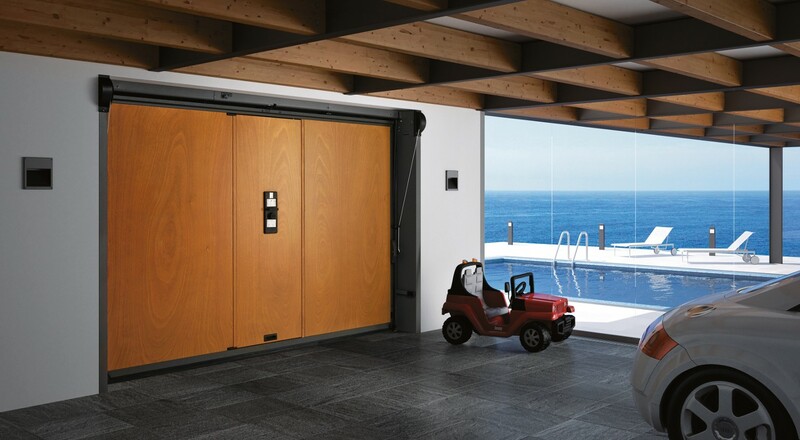 Hence, in purchasing a Silvelox VIP garage door you can rest assured that you’ll have the very best on the market in terms of quality, functionality and style. Silvelox garage doors do not have springs. This is because they have their own patented counterbalance system. Consequently, this creates a much smoother operation than with a sprung system. There will be no ceiling tracks in the garage or an operator boom with your Silvelox VIP. These are cleverly integrated into the door frame. As an optional upgrade you can have a pedestrian door. The pedestrian door is a great feature for nipping in and out of the garage so preventing the need to open the whole door. 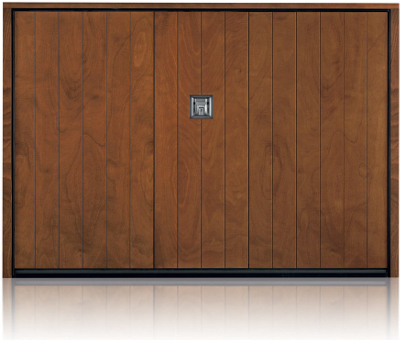 The standard timber for Silvelox VIP garage door is okoume hardwood. The door is also available in range of different woods such as, oak, walnut and brushed larch. This gives strength and stability of the engineered board but with the finish of your choice. VIP is available in a range of standard stains and paint finishes as well as the option to have the door custom finished to your sample. 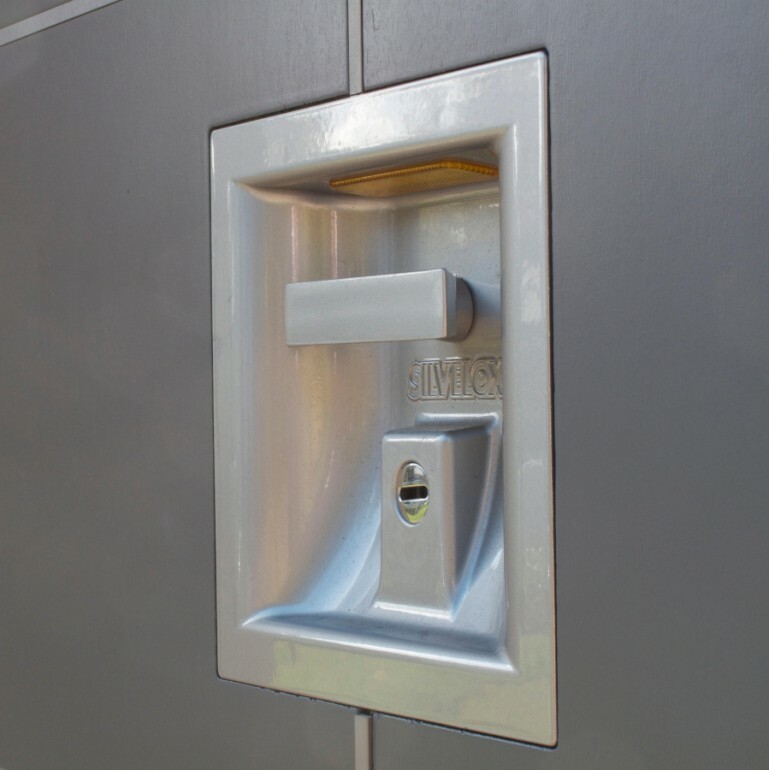 A Silvelox VIP front door is also available to match your garage door.